When it comes to borrowing money, you can be overwhelmed by the choice available. But it's the influx of 'fast' loans that have received some bad press in recent years, with logbook loans coming under the spotlight. So why have logbook loans had such a hard time and do they deserve it? There was a time when if you needed to borrow money, you had to visit your bank or building society and apply in person. Application forms and all kinds of background checks were part and parcel of borrowing, and you almost certainly needed to declare what the money you wanted to borrow was for. That method of borrowing is still very much alive and well in High Streets all over the country. And though those same High Street names all offer online loans as well, the same amount of checks and confirmations are still required. Although these big names are trusted and well known to us, not everyone who needed to borrow actually could, because of their financial background or current financial situation. To counteract this rather limiting way of allowing people to borrow money, the online market became flooded with faster, quicker, and easier loans being made available. Aimed purely at people who were hard up or strapped for cash, these loans became an easy way for money lenders to prey on those that needed money quickly. Does my bad credit have to mean no credit at all? Over time, getting a bad or low credit rating can seriously limit your ability to borrow money. Many financial lenders insist on an excellent, or at least good, credit score before they'll even look at your application for a loan, mortgage or credit card. But having a bad credit score doesn't have to mean no credit at all. Once you get credit and providing you don't run up vast amounts of unsecured debt, credit will always be available to you. And, the more you borrow (and pay back successfully), the more your credit score will build, showing lenders you're a trusted and creditworthy customer. It all makes it much easier to borrow money for years to come. But, if you come unstuck and run into financial difficulties for any reason, your credit score will quickly decrease, leaving you with few options to borrow. And once you get a bad credit rating, all lenders will quickly know about it, making it increasingly difficult to get credit or finance anywhere. Getting to grips with some much-needed home improvements can do wonders for turning a tired or outdated room into an inviting, usable living space. And, depending on your plans for a transformation, a logbook loan could help give you the wow factor you're after. There's a bit of a trend happening with home improvements at the moment. Not so long ago, homeowners would choose to sell up and move to a new, larger house to accommodate their growing families and busy lifestyles. Now, thanks to the housing market, it's far more likely that they'll stay put to breathe new life into the current family home. From a simple declutter and freshening up of a room, to brand new family spaces that extend out into the garden. Staying put can give you the opportunity to transform your home, giving you the look you want or the space you need. But while you're saving yourself the upheaval of moving as well as the costs involved, you still have to find funds to get the home improvements you want. There are several ways to raise the money you need. Depending on what you want to achieve, you could use some of your savings to get started. But if you don't have savings or you need extra to help to get the look or extra space you need, a logbook loan for your home improvements is a great option to look into. Could a Logbook loan help to pay for your special occasion? From birthdays and graduations to anniversaries or retirements, we love a good get together to celebrate with friends and family. And the bigger the celebration, the more it's likely to cost to plan an event to remember. So rather than scaling it down, could a logbook loan help to pay for your special occasion? When it comes to special occasions, we all love to celebrate. And it doesn't matter what the occasion is either. So whether it's a full-blown party that goes on into the small hours, an afternoon gathering with prosecco and canapés, a luxury evening meal for a chosen few, or even a romantic luxury holiday for two, you'll want to mark your event in style. Whatever you choose for your special occasion, it's natural to want to have the biggest and the best event to commemorate the special day or event. But because you want it to be special, not only for you but for any guests as well, before too long, you could see your plans and budget starting to snowball. Can I get an extra top up on my log book loan? If you're coming to the end of your loan repayments, you could be in a great position to top up your logbook loan if you want, or need, too. Having a logbook loan can help you in lots of different ways - and getting a top up could be a lifesaver in an emergency or another bonus towards a family holiday or treat. 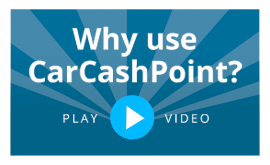 One of the great advantages of any logbook loan is its simplicity -, especially with Car Cash Point. With no credit checks, low-interest rates and no hidden fees or charges, the whole process, including your application, is easy. And we've made it that way for you because we want everything to be in plain English, so there's no jargon and nothing hidden in any small print. The recent downturns in the economy have left thousands of people finding it more difficult to borrow money. As banks and other traditional forms of borrowing have become more strict with their lending policies, people are looking for other ways to borrow, and logbook loans are fast becoming one of the most popular. So, compared to a standard bank loan, could a logbook loan offer the affordability you need? With a multitude of reasons as to why people want to borrow money (excluding mortgages), one thing's for sure, people are still keen to do so. Whether the money is used to fund a home improvement project, a holiday or something else entirely, the need for borrowing is as high as it has ever has been. Naturally, borrowers want to get a loan with the best deal that suits them. Low interest, low monthly payments and long repayment terms are all at the top of the list. But, it's not always that simple. It's rare to get the best of everything when you borrow larger sums of money and there's always a price to pay, no matter how good the deal. For a long time, a traditional bank loan was the standard option when you needed to fund a project or a purchase. As an existing customer, your bank was well placed to be able to look at your financial history and current status and base your loan request on a number of different factors. But, times have changed. When you need fast cash, alternative methods of borrowing are now more readily available and banks are slipping down the pecking order.